Recently went to my first flea market and found a bunch of deals. This only cost me $1a pack. I bought two packs because that's all they had. Each pack came with a chance at a Griffey Jr. Rookie. 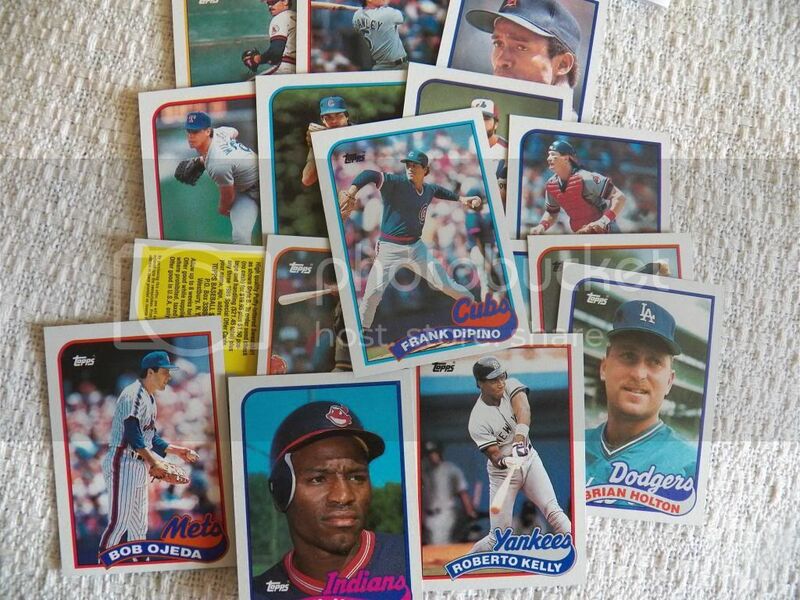 You can also find Gary Sheffield and John Smoltz rookies as well. The base cards from this product, since I already have a ton, will go to other collectors!
. This is why I made the purchase. Gotta love throwback breaks with the wax packs. 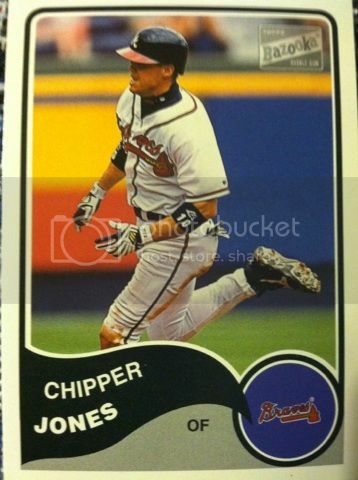 I liked this Bowman design and wished they would take a look back in time at the design and make a comeback with it in new products. However, the bigger sized card I didn't care for as much. And no, don't worry, I didn't eat the gum. Let us know your thoughts on this break! Recently went to my first flea market and found a bunch of deals. This only cost me $1a pack. I bought two packs because that's all they had. If they had more, you better bet I would have snatched them. Each pack came with a oversized fold-out cards and with 1 bonus card as well. I liked these because they brought back memories of when I first started getting deep into collecting. I at one point gave these a try when they first were released. Unique concept. Wished companies would do more innovative things like this now-a-days. Let us know your thoughts on this break and if you remember them! Got this bad boy in the mail the other day. I luckily caught the fact that Cardsmiths were breaking Gold Standard while I was gone on a trip, I always keep tabs on the blog, Twitter and Facebook when away, and didn't miss out on this break. I have never busted the product before. Usually can't afford it. It was a random break meaning I could have ended up with any team. At first I was truly hoping to land the 49ers to try and get Kaepernick, but was glad when the Falcons were the team I ended up with especially getting such a nice rookie/auto/patch card of their top wide receiver! It's this kind of mojo why I try to send you guy's their way! Upper Deck NPN Mail Day Quad Soccer style! 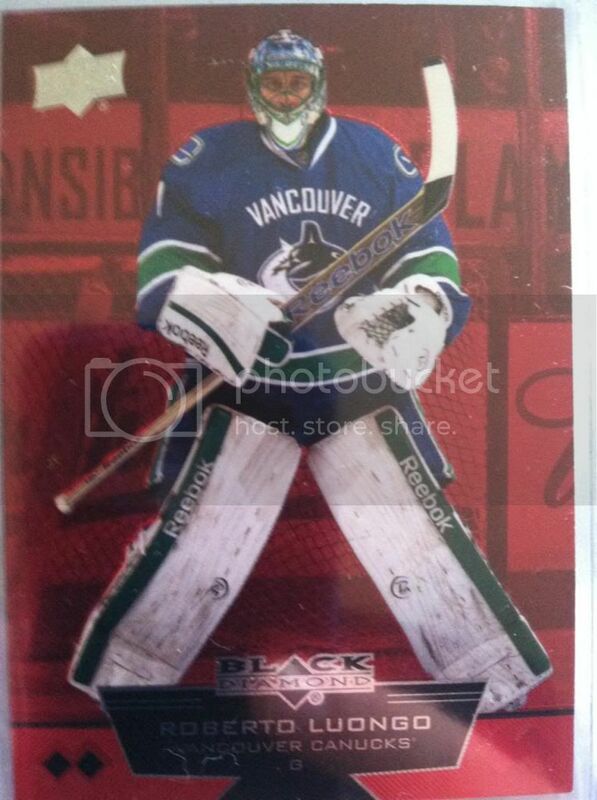 Another nice card from Upper Deck's online NPN program. No Purchase Necessary programs are great and with Upper Deck's being so easy online this is the best one to enter. Not to mention, I have had some decent returns on it. Everyone has a bucket list for something. This is my hobby bucket list. These are 5 Things I Would like to accomplish in the hobby before..well..you know. Some of these I don't know if I will ever accomplish. But maybe. A collector can dream can't they? Starting off number 5 on the list...Own An Eli Manning Autograph. Been wanting one for years. Can't really afford one and trading isn't really my thing. So hopefully down the road pack pulling after many years will land me one. He is one of my favorite Giants players and having an autograph of the two-time Super Bowl MVP would be a great addition to my collection. Number 4 on my list is to own a Michael Jordan Rookie Card. Come on, its obvious. The guys the best ever in basketball. Despite being a Knicks fan and dreading having to see him play my team and win all of the time I have come to a realization that he's just unbeatable and a must have to anyone's collection. I will also add a '52 Mantle to number 4. Iconic card. Number 3 leads me to wanting to open up a case of cards. I have never done it. I can barely afford a box sometimes. So opening a case would be a dream come true. Sort of why I pushed to win the one that Topps was giving away so badly about a month ago. I would have given a box to one of you guys, but wasn't a winner. Just to had won it and opened most of it was enough for me. Hopefully someday this can be crossed off from this list. Number 2 is visiting Panini America. Would love to chill with the guys I always interact with on Twitter and finally meeting them in person.Not to mention, taking a tour of a card company has got to be up on this list as well. I wanna see the piece of cardboard I collect from start to finish on how its made. 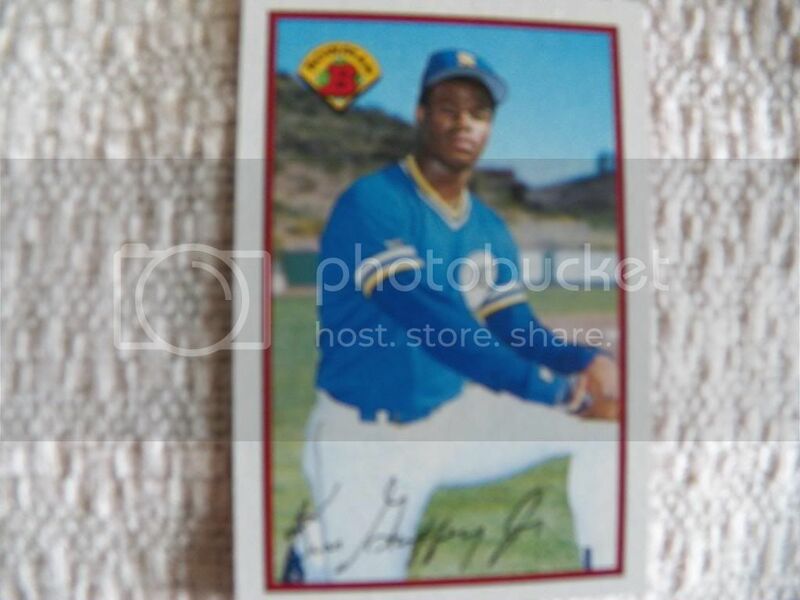 And Number 1, by far the most important of them all and one I am sure ALL collectors would agree with....landing on a card yourself. I would love to be on a piece of cardboard and finding myself in packs. Or seeing others collecting me. And if I had to choose, I would include my blog as part of it. You know something like Top Blogger or Rookie Blogger Of The Year type of thing. Let me know your thoughts on my bucket list and what you would put onto yours. Recently went to my first flea market and found a bunch of deals. This only cost me $1a pack. I bought four packs because that's all they had. Believe me, would have gone for more! Love to bust the classic wax. Tried to put all of the best cards to be seen on top. The rest are well, you know. No good rookies were found in this break. Just a bunch of commons that will end up in another collectors hands at some point. 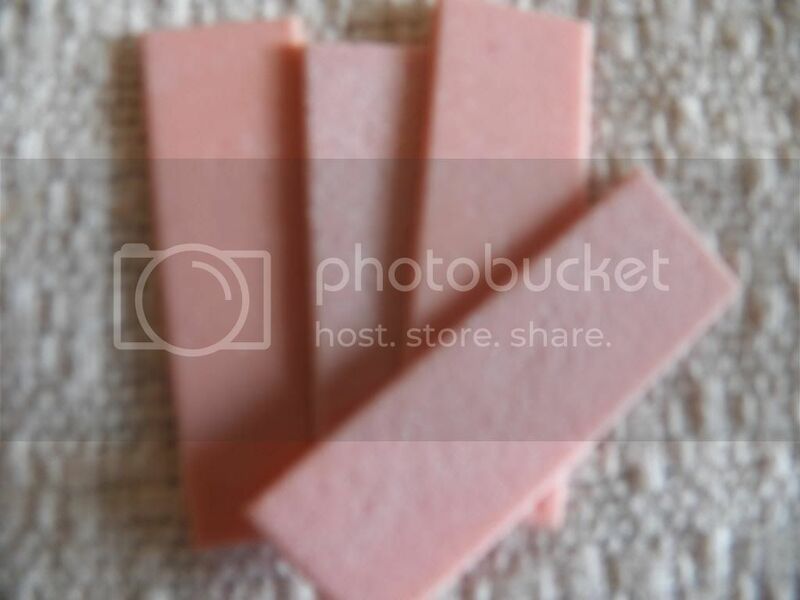 And yes, here's the gum. Maybe we should give it away...would you consider it a collectible? 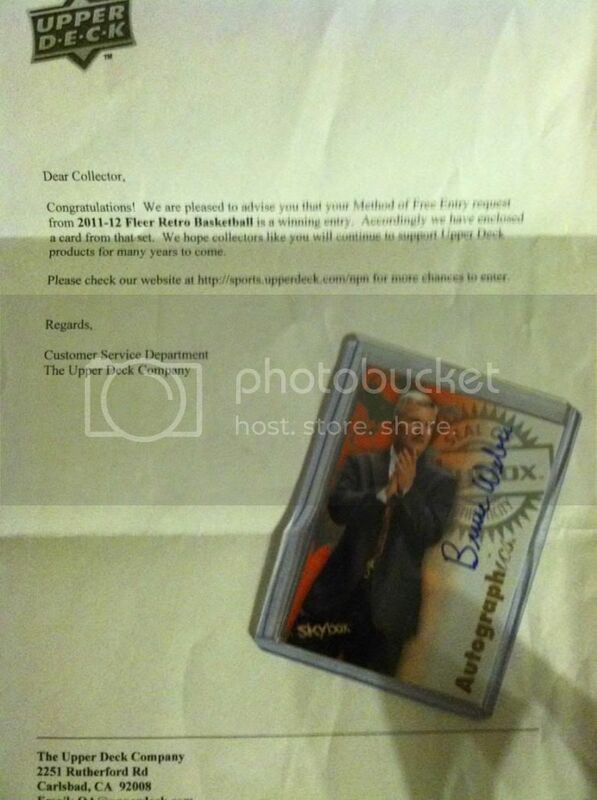 When I had entered for the Fleer Retro Basketball part on Upper Deck's online NPN program I was hoping to be a recipient. 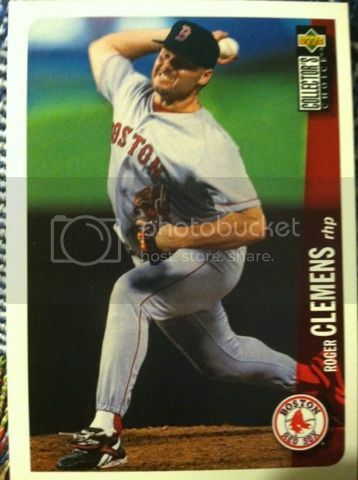 I was always a huge fan of Fleer and Skybox products as I have put in other posts before. So when that NPN envelope arrived I was stoked to had found this! 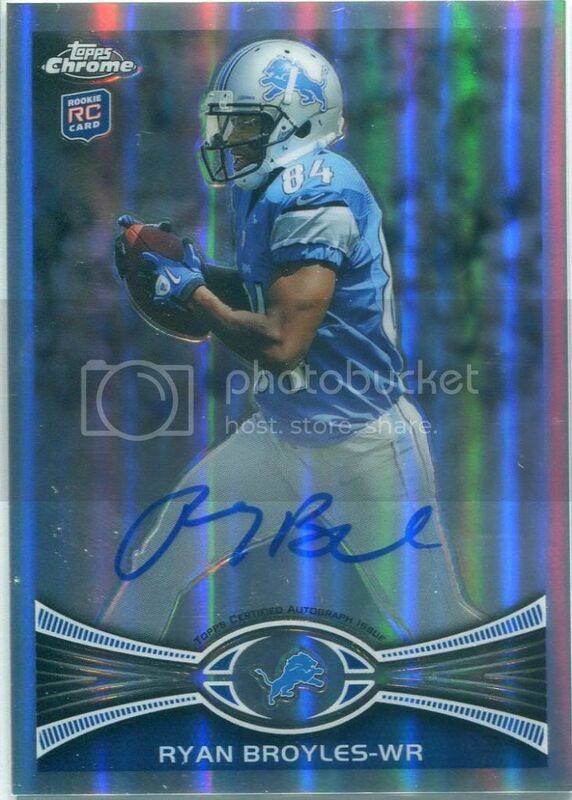 Your thoughts and comments on this Upper Deck NPN Mail Day is always welcomed! Panini has revealed the last couple of days images of Memorabilia and Autograph cards you can find in their wrapper redemption program from The National. WARNING: Try not to drool on your keyboard. They have an added bonus to these Tools Of The Trade Memorabilia cards by adding sweat from players. It's like 2 memorabilia cards in one!! These glove pieces are really cool! To me, these look excellent. And the biggest positive to me, is the fact that its not everyday cards. These are not things you are going to find in packs. You won't find sketch cards like these, you won't find towel cards and you especially won't find Panini employee cards. Let us know your thoughts on these cards and if you are going to The National. With the National a week away, more and more sports related companies are revealing their plans daily on what to expect. Goldin Auctions has something big in its plans. At their booth they are offering collectors a chance at $1,500 in prizes during the show from July 31-August 4. Each day, collectors who visit the their Booth and register for the company's Fall Auction catalog, or confirm that they are already registered, are entered into a drawing to win a GoldinAuctions.com $100 gift certificate. Then the coolest thing is by weeks end, all registrants are entered to win a $1,000 gift certificate. Another reason to go to their booth other than the excellent prizes, is the selection of memorabilia on display that's available in the company's Fall Auction. The list includes, game used bats from Babe Ruth (autographed), Lou Gehrig, Roberto Clemente (rookie season) and Jimmy Foxx; a Derek Jeter 1996 rookie season game-used Yankee batting helmet; The Cambridge Find of over 170 19th century cards which have remained in original family hands for 125 years; The Jeremy Kable basketball collection of in-person acquired game used and autographed basketball memorabilia; Penny Marshall's personal game-used and photo-matched Michael Jordan jersey; and more. Once again, this is yet another tease on why I would want to go to the National. This arrived yesterday. I think someone from BCW Supplies must have read my Sorting Series because this genius of a product is right up my alley. As stated in my Sorting Series, you can find the series on the blog by searching Sorting, or maybe you already read them but you know I really sort when I bust a box or even a pack of cards. I have a pile for rookies, rookie inserts, star players, commons, inserts, my teams, and so on. This beautiful tray will help me BIG TIME in sorting cards. I usually have to make my piles on the table and at times they fall over causing me to having to re-sort them. Now, with this, I can place them into the slots. And there are plenty of them. 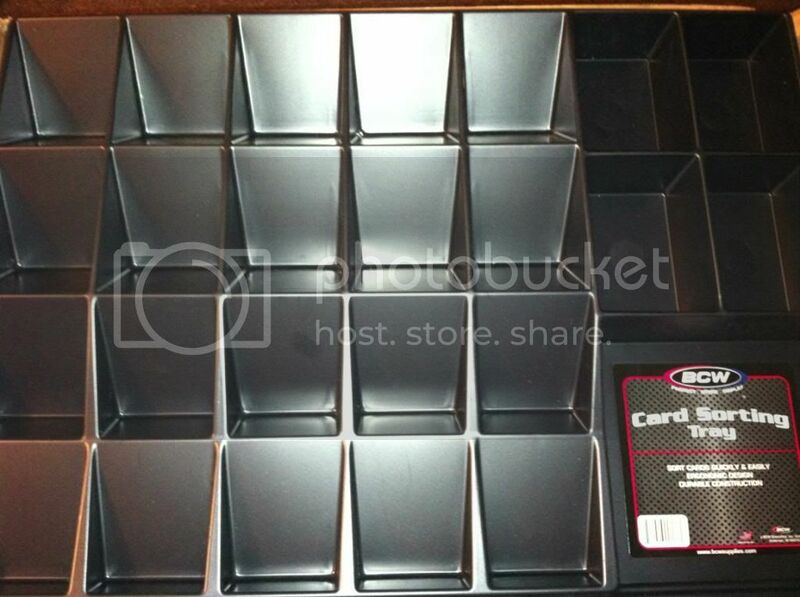 Overall, the BCW Card Sorting tray holds 20 slots and 4 deep slots on the side. This thing is also much bigger than what I saw in previews of the item. This is just an example of the card sorting. This isn't cards that I have sorted yet. As of now, I am caught up so my tray at this point is empty. But look how easy it is to use and how much room you have to sort your cards with. If you sort cards like me, I truly recommend getting this nice tray. Or even if you don't, it will still come in handy to keep what you do sort separate. I can tell already that it's going to be a HUGE help the next time I make a card purchase. 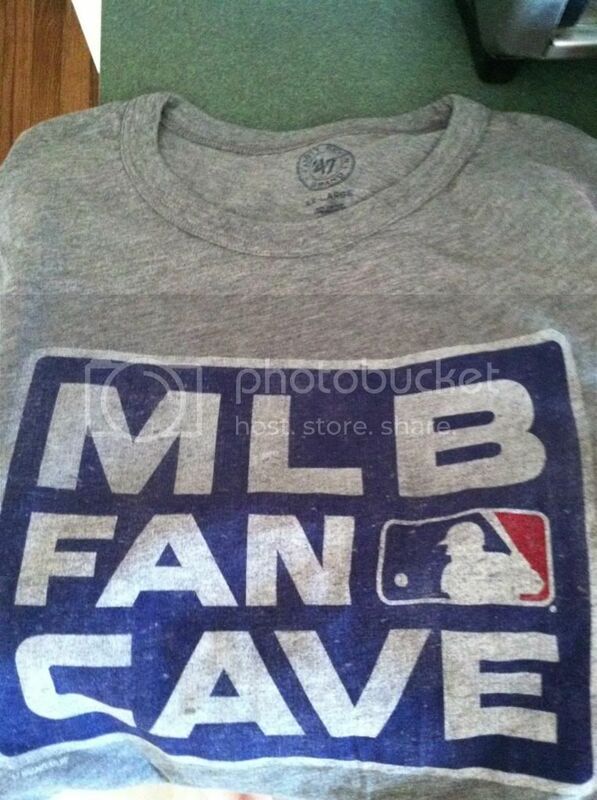 A visit from the UPS man dropped off this awesome shirt I had "won" from MLB Fan Cave. I put the words "won" like this because technically I scored this shirt from their pure generosity. I didn't win a contest, though I keep wishing too. They have some tremendous giveaways including autographed baseballs of a lot of players, one in particular I really want of Robinson Cano. The shirt is pretty sweet though. Well made and comfy. If you have Twitter or Facebook, I recommend giving these guys a follow. Not only great contests, but fun baseball related topics including videos, score updates and more. Or if you live closer, go visit the MLB Fan Cave in 692 Broadway, NY, NY. 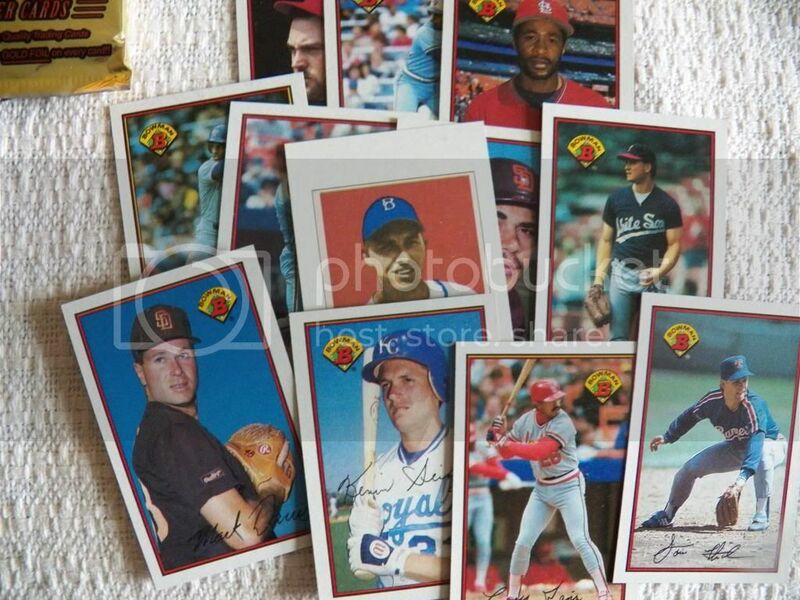 Here is our NEW segment on Sport Card Collectors. This segment is not about the players per say, its more about the cards and design. We will focus our efforts on bringing you brands you may have forgotten about over time. Sports for these products will include basketball, football and baseball products. Another one of these unique Pacific brands. Its too bad they aren't into the card biz anymore. They did a great job with some products. This being one of them. The card stock for the product wasn't only just foil board, but was thick. 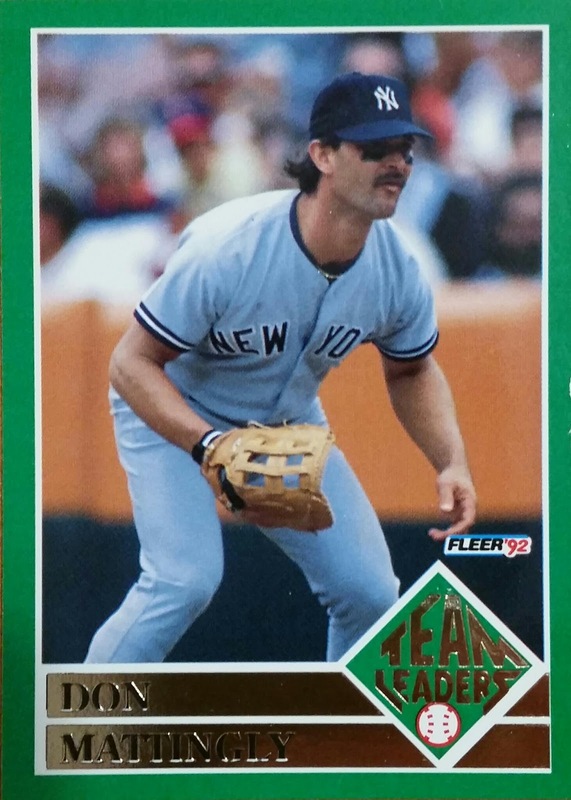 This type of foil board with thickness made it so cards wouldn't have dented corners as easily. Something that we all should appreciate. 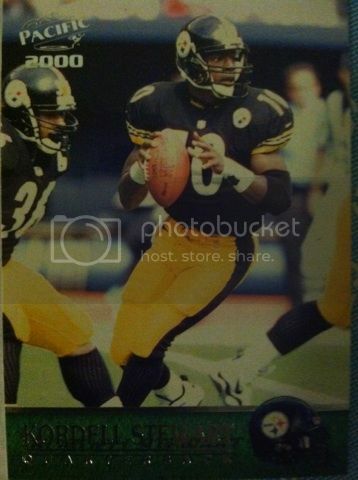 There isn't many base cards that are like this anymore. 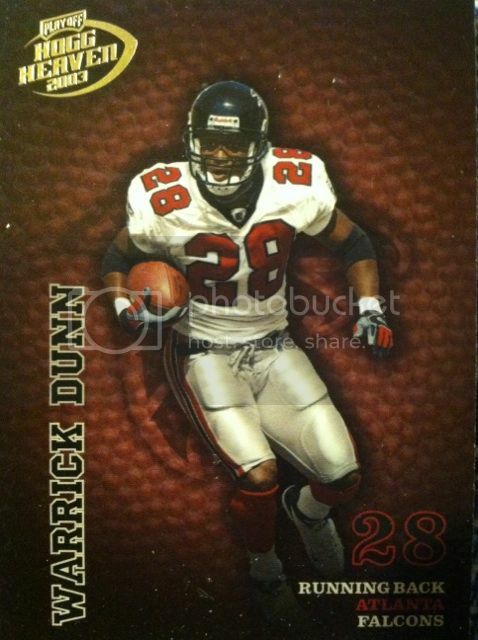 Key rookies in this product included Chris Chambers, Reggie Wayne, Deuce McAllister, Santana Moss, Drew Brees, LaDainian Tomlinson, and Rudi Johnson. 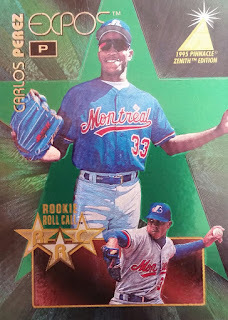 One of the more unique things I really enjoyed was the double sided jersey cards that fell about two per box. Some fun matchups and a swatch on each side.I pulled one with Aeneas Williams and my boy from NYG Jason Seahorn. There were 24 packs per box and 4 cards per pack There are also unique colored parallels too that were numbered. No box price as of now as not too many are found on the market. Pacific is another one of those companies I miss in the football card biz. They put out some great products in the 90's all the way up to the early 2000's. I like the borderless photography of this product and the creativity they brought to other products. 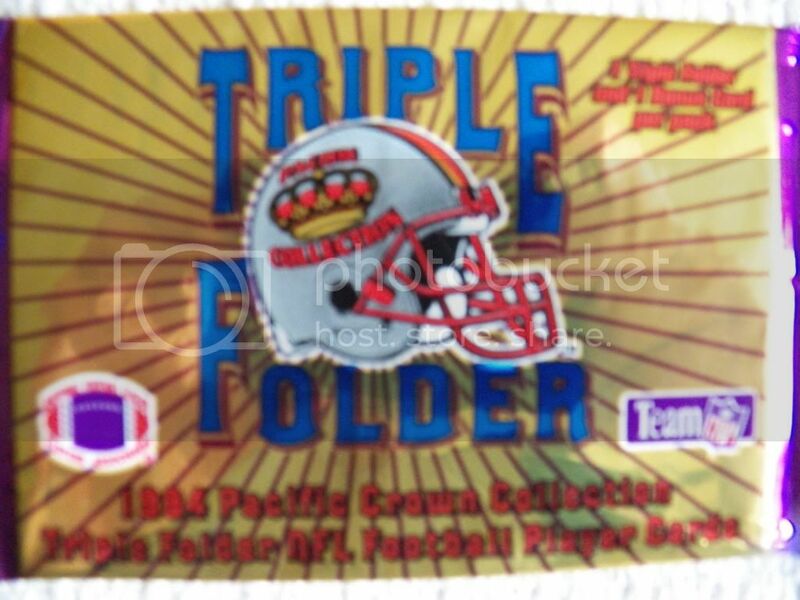 There are 36 packs per box and 12 cards per pack in 2000 Pacific Football. Ton of great rookies including Tom Brady, Shaun Alexander, LaVar Arrington, Jamal Lewis, Chad Pennington, Jake Delhomme, Plaxico Burress, and Thomas Jones. And randomly inserted autographs as well. Among unique offerings for inserts including fan favorite die-cuts. What are your thoughts on Pacific and the many products they offered in the 90's? Had you, FORGOTTEN about them? 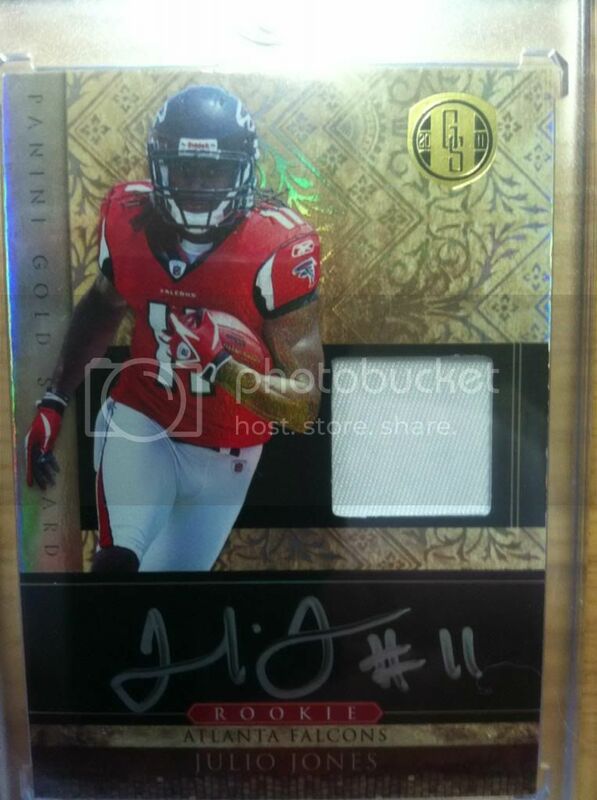 One of our regular fans here at Sport Card Collectors, mrblu1976, emailed us pics from his Elite break from his LCS. Now, we haven't yet busted any or have really seen that much of the product. He not only wanted to share the pulls with us, but with you guys as well. Let us and him know your thoughts!! We are always willing to share your hits or collections as well. 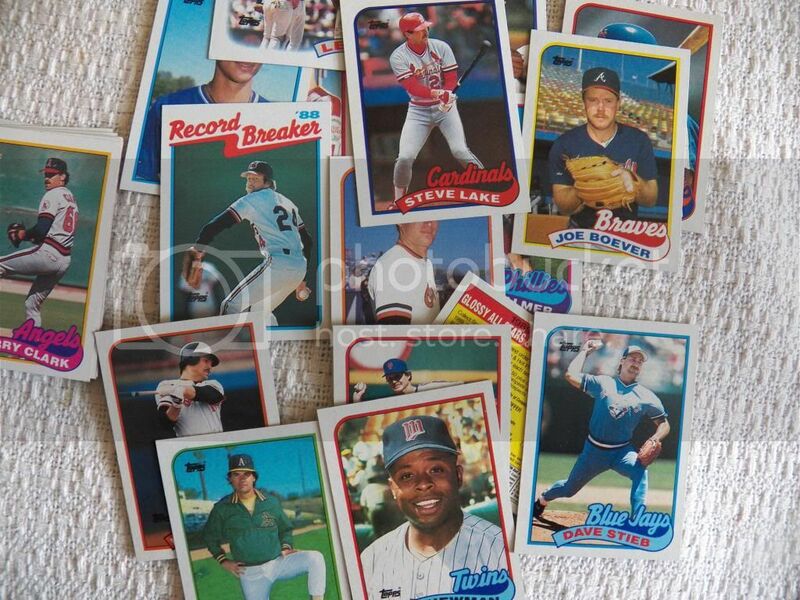 Just email us at sportcardcollectors@hotmail.com and give us pics and descriptions! 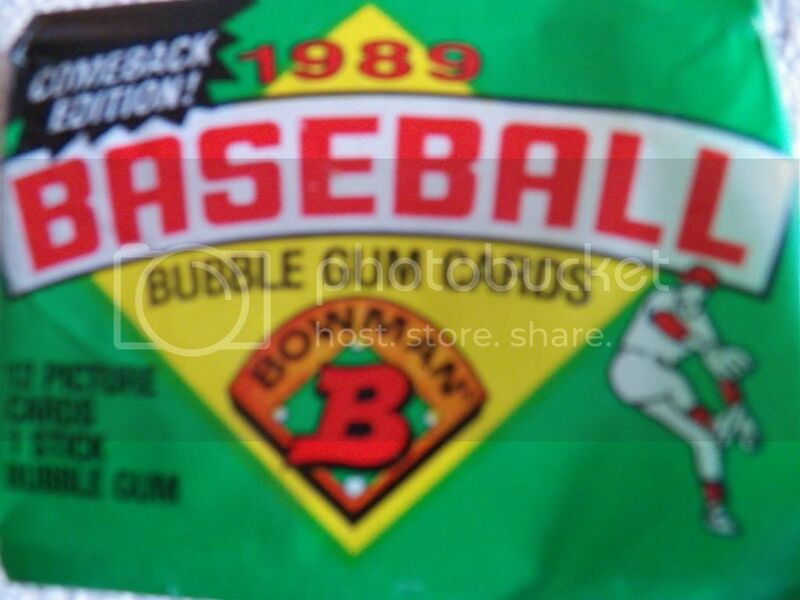 Bazooka Gum and Topps have been hand to hand forever so in 2003 Topps made a baseball card product called Topps Bazooka. 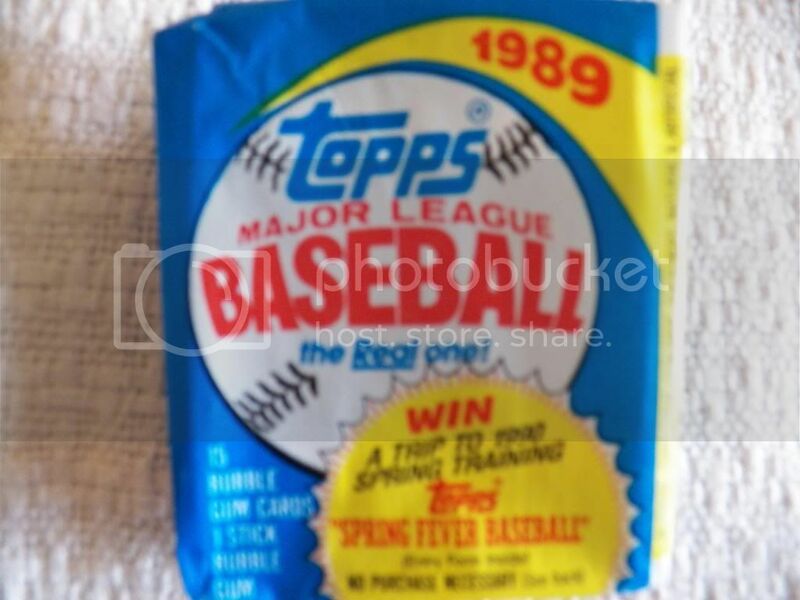 With 24 packs, 9 cards per pack and 3 Relic Cards per box at a reasonable price it was a product for those young and old. There were also fun inclusions like Stamps, StandUps and of course comics to find as well. Another thing to note is Bazooka Joe could also be found in the product. Boxes can still be found now for about $40 a box. Let us know your thoughts on Topps Bazooka. 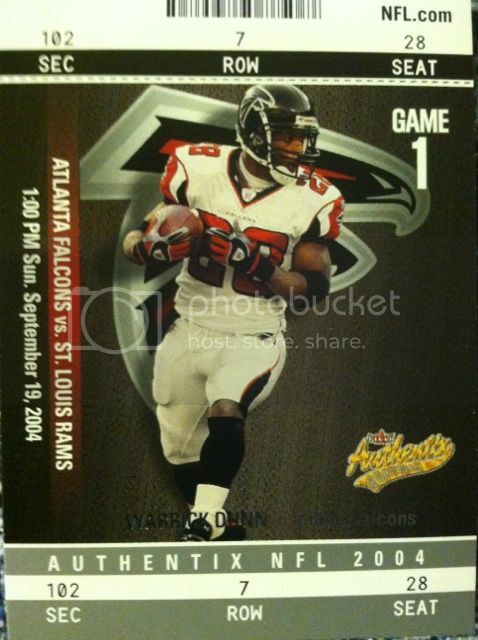 Not only is this a popular insert, but back in 2003 Playoff created a whole product based around it. Every hobby box contained 3 game used and autographs and 5 leather cards. I found the leather cards to be very cool innovation. And you can actually smell it. And don't tell me you don't smell your cards as well. Who doesn't? Most memorabilia in the product is numbered and printed on the leather cards. Inserts as well. 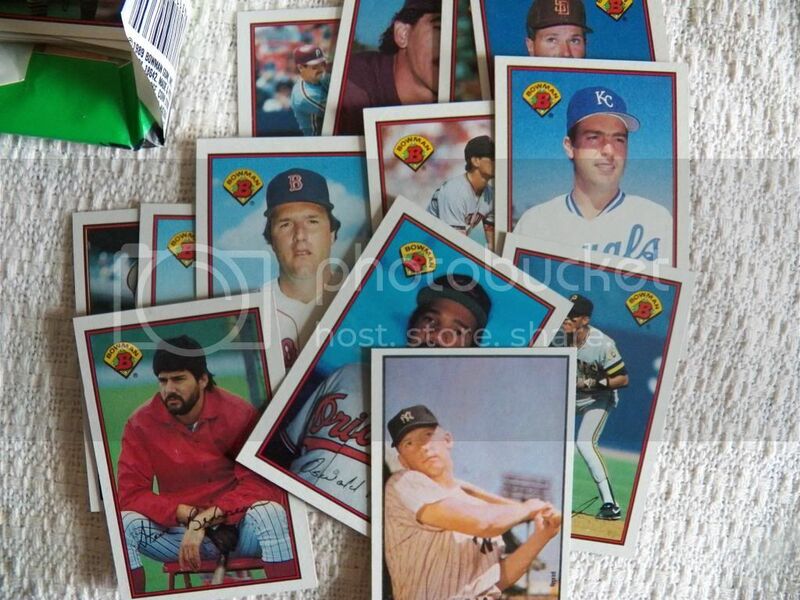 Every hobby box also had 20 packs per box and 5 cards per pack. We don't have a box price on this product. The design is very well done with the football bump appeal and the team logo hidden behind the player. The player also being in full color jumps off from the cardboard. The rookies appear as Rookie Premier materials or plain like the base cards. Some key players Willis McGahee, Carson Palmer, Ken Hamlin, Kelley Washington among others. Let us know if you had Forgotten about this product or had collected it. Also give us your thoughts on the base card design, as we stated above, its very unique and eye catchy. This was a nice find in my mail box. This card is limited to 100. 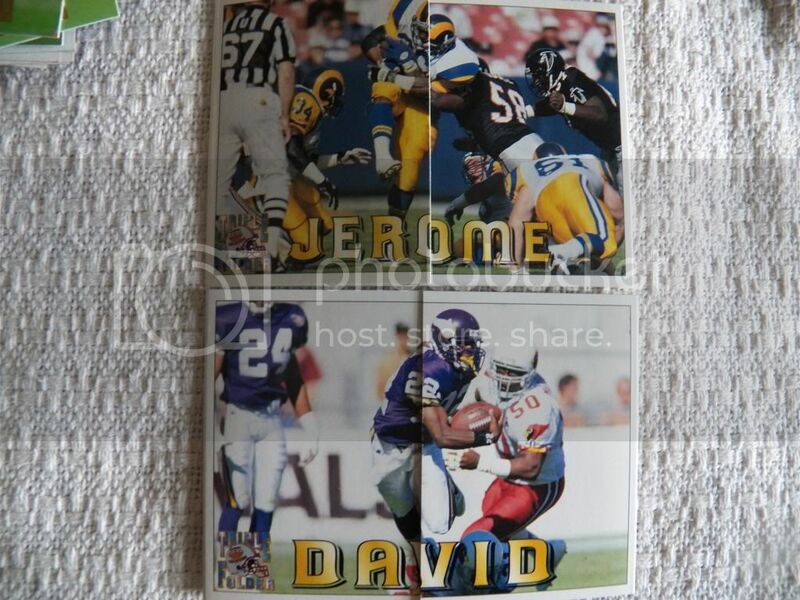 This happens to also be a product I wished Upper Deck would also bring back to other sports as well such as football. I really like the parallels in this product. With another great Upper Deck NPN mail day let me know if you have ever gotten one! With base cards with such appeal as the shine starburst, I am surprised that Quantum Leaf didn't carry over for more than a couple of years.This could have been a product easily off from our Forgotten series list. 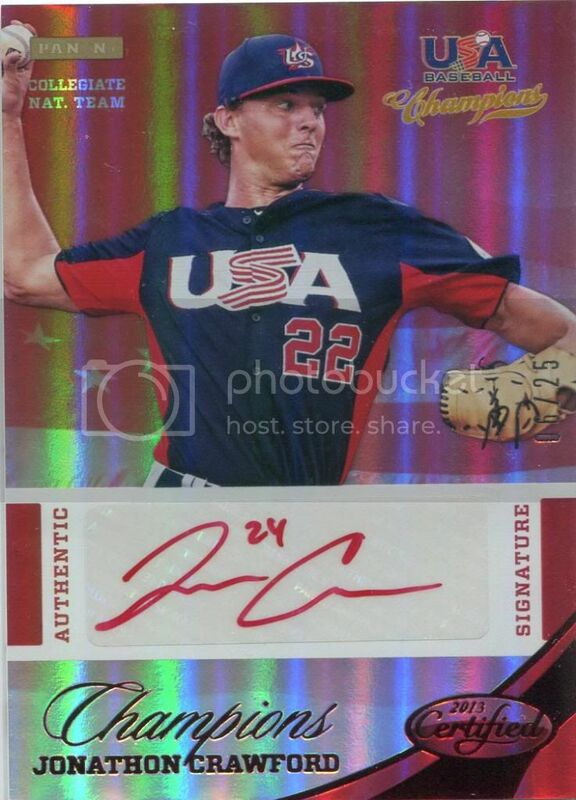 The outstanding look, other than the starburst rainbow shine shine, is the the lack of border and added photography to these base cards makes them even more appealing. 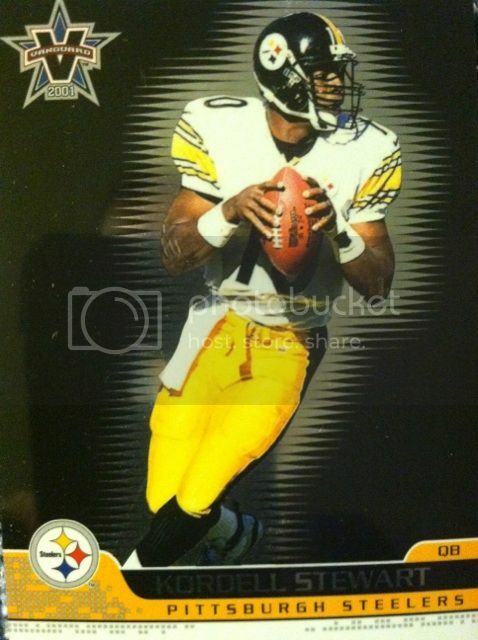 Key rookies from the 2001 set are Chris Chambers, Reggie Wayne, Deuce McAllister, Santana Moss, Drew Brees, LaDainian Tomlinson, and Rudi Johnson. Three of these rookies in which will be Hall Of Famers one day. Hobby boxes had 24 packs per box and 5 cards per pack. There were a number of inserts to find as well. Let us know if you remember this classic and one that we had Forgotten about but still enjoy. In September the tease we saw of Prizm Hockey back in Rookie Anthology comes to full bloom in its own product. Prizm Hockey 13-14 hobby boxes come packed with two autographs, at least two Prizm parallels and 20 Rookie Cards in every 20-pack hobby box. I really like the added color to the base cards. This will greatly improve their appeal. 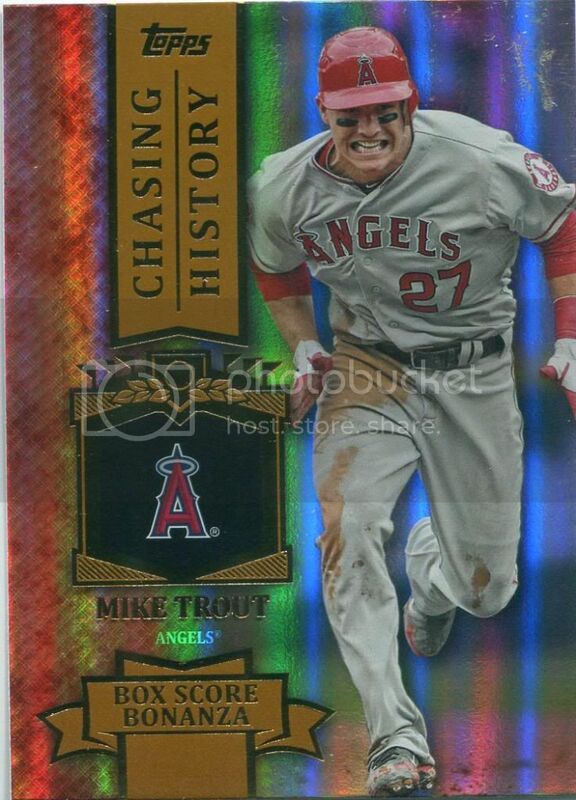 Prizms..its all about the chase..the rainbows of your favorite player! Prizm will also feature three levels of autographs as well as hobby exclusive Orange Die-Cut Prizms (numbered to 50), Gold Prizms (numbered to 10) and Finite Black Prizms (numbered to only one). Let's hear your thoughts on 2013-2014 Prizm hockey with not only its first time release, but being released during #paninisdoublerookieclass. BIG THANKS goes out to Jammin JDcards for providing this card for us to share today! 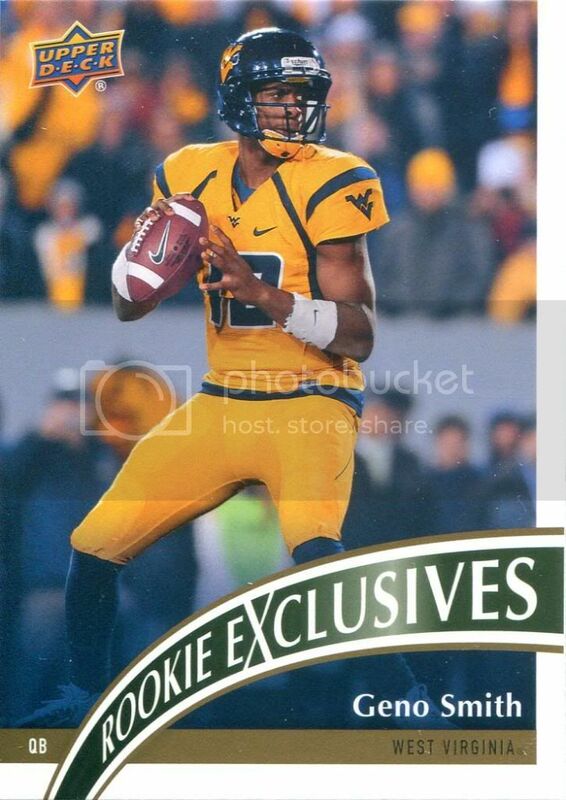 Panini released who their 6 cover boys for their next week retail release of NFL Sticker Album. The cover contains top rookie QB's from last season and popular players Tom Brady, Peyton Manning and newbie Colin Kaepernick. This years 72-page full-color album includes 488 new stickers (360 standard stickers, including 32 NFL Rush Zone Team Rusher stickers, 96 Foil stickers and 32 Holo Glitter stickers). It also includes sections devoted to the Pro Football Hall of Fame Class of 2013, Super Bowl XLVII and the NFL Rush Zone. 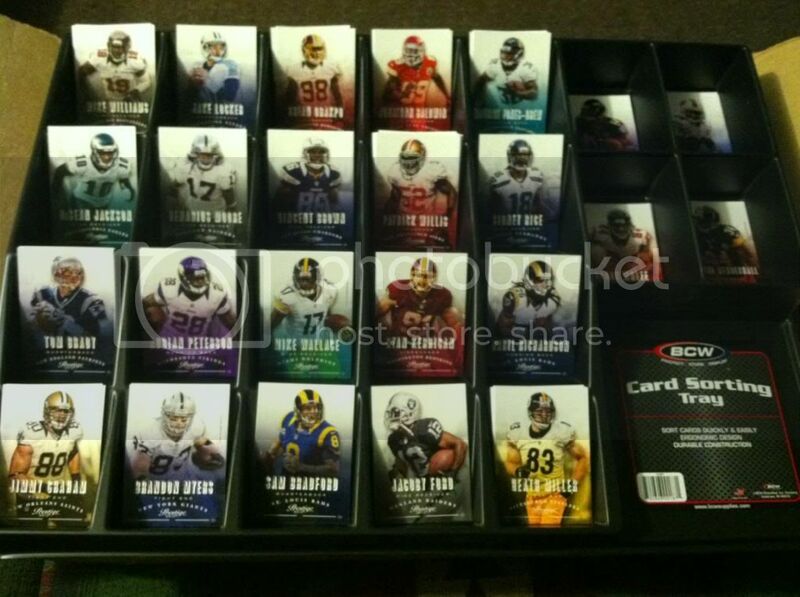 Each of the 2013 NFL Sticker Collection packets include seven stickers and retail for $1. The 72-page album will retail for $2. You can find the albums at retailers nationwide including Target, Walmart, Michaels, Learning Express, AC Moore, Shopko, K-mart and Dollar Tree. 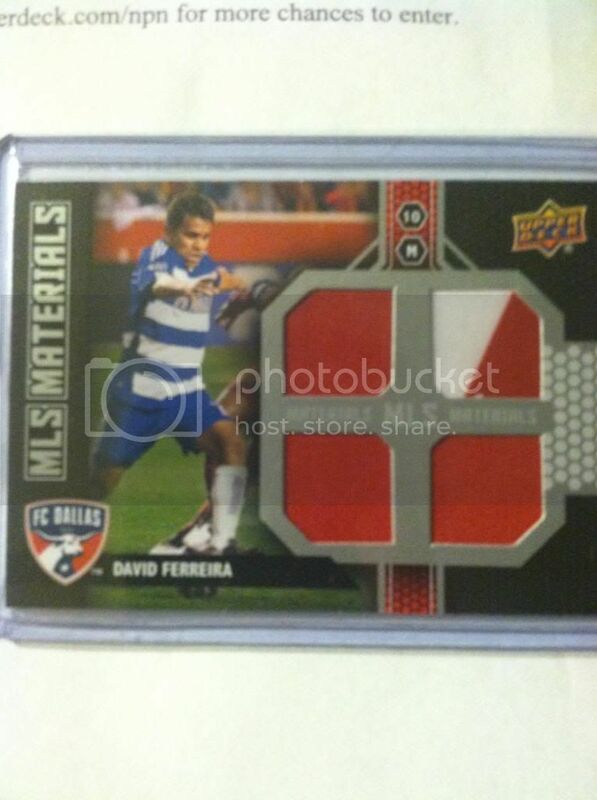 The collection is also available at the Panini America Online store. 2013 Goldin Auctions Summer Spectacular Closes This Friday July 19 as stated in the title of this article. With 1,150 items to choose from, there is something for everyone. There rare memorabilia from Kobe Bryant, Derek Jeter, Babe Ruth, Jackie Robinson, Mike Tyson and many more up for bidding. Here are some of the top items and their prices as of July 12th. Lot #1 - Dated 1855, the Constitution and By-Laws from the Excelsior Base Ball Club of Brooklyn is perhaps the oldest such document of its kind - in fact it's older than the edition currently on display at the National Baseball Hall of Fame & Museum. $5,363. Lot #910 - Michael Jordan Game Worn and Signed/Inscribed Sneakers personally given by Air Jordan to Mike Tyson with an inscription that reads: "TO MIKE - STAY STRONG - Michael Jordan." - $5,363. Lot #1029 - Bout worn trunks used by Tyson in his controversial fight against Andrew Golota on Oct. 20, 2000 when Golota quit after the second round. - $3,540. 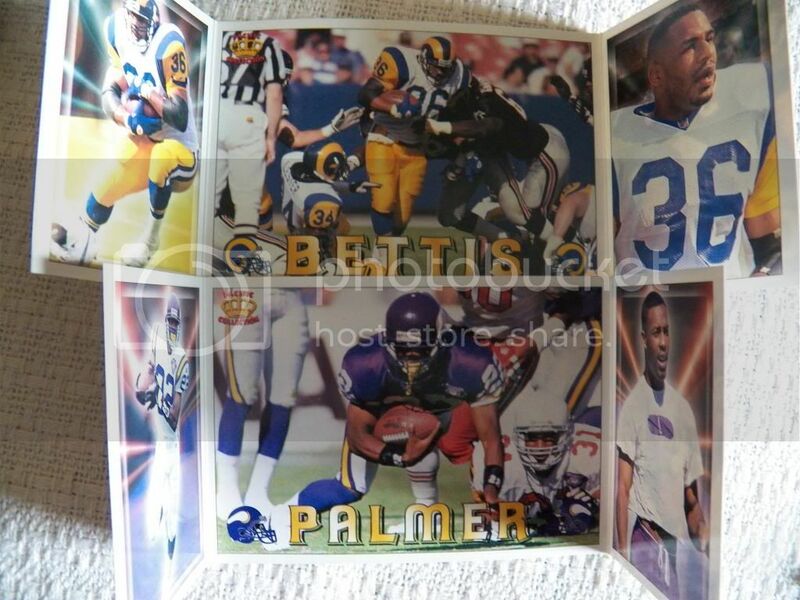 If you are looking to bid on some of these amazing items, either follow the link for each of the listed items or go check out www.GoldinAuctions.com and let us know if you buy anything. Would love to make a post about your purchase. Looking at this list, to me, I would go for the Derek Jeter items. Just look below. Sweet stuff from The Captain! But the Kobe Bryant's are tempting as well. Because you get a bonus "autograph" .A signed Letter of Authenticity signed by his mother Pamela Bryant. How cool is that? Each of the signed Letters of Authenticity state the Bryant items are authentic and have been in her possession until being part of the auction above. A sweet bonus if you are one of the buyers is that 50% of the sale price from four of the items noted above with a * will be donated to The Bully Project a Kobe Bryant supported charity. Which I think is a great. Let us know which items catch your attention. And which you will or would buy. 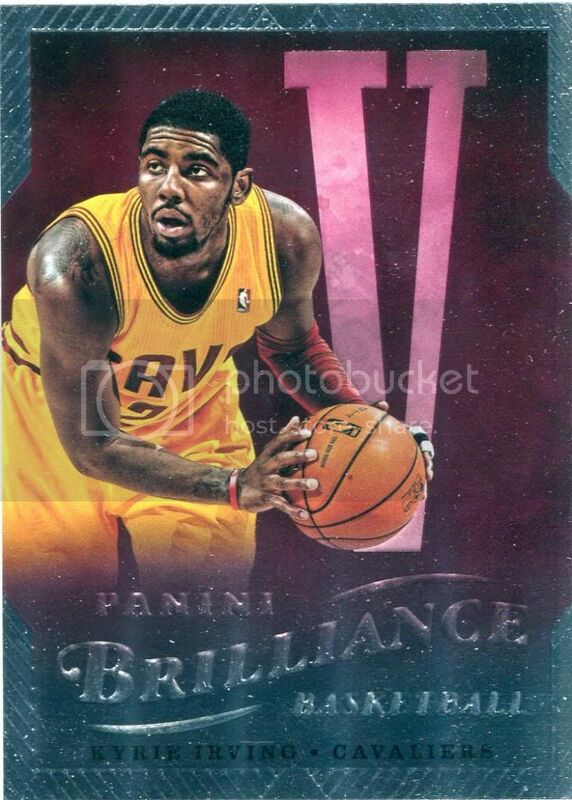 Panini has announced that the most successful and longest running promo is returning again. To find out more about the promotion and what the promotion is about click here. They also showcased this years base cards and rookies and revealed this years Player Of the Day logo which to me looks terrific. Let us know your thoughts on the Player Of The Day promotion and if you will be participating. Forgotten is a baseball product that etched team logos into its bat pieces. Forgotten is a well designed product that should have stayed etched into your mind. Every box of Upper Deck 2004 Upper Deck Etchings Baseball had 12 packs per box with 5 cards per pack. Each box contained on average 2 Rookies numbered to 2004, 3 Autographs with them being 1 rookie, 1 young star, and 1 star. Also it had 3 Game-Used Memorabilia Cards. Including like we mentioned above, bat pieces with a team logo etched into the bat piece. Was a very cool concept and design. You ask what we mean by this..
At this time, can't find any pricing on boxes. But with 6 hits you have to assume its pushing over $100 even still now. 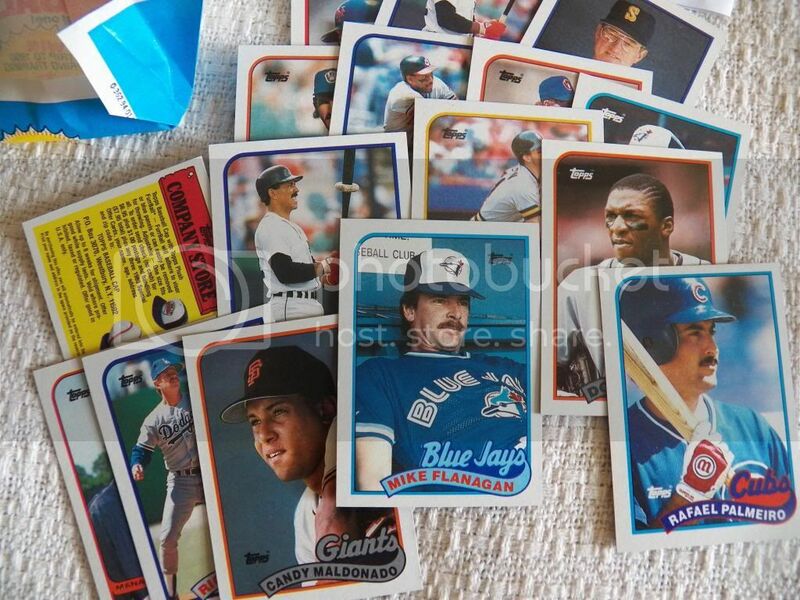 Let us know if you remember Upper Deck Etchings Baseball. And what your favorite part was! 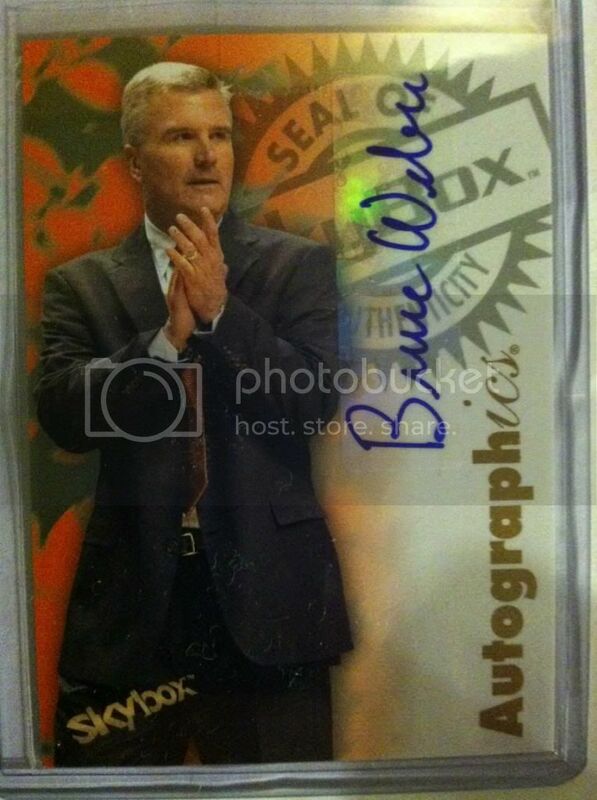 Win This BCW and Sport Card Collector Prizes! 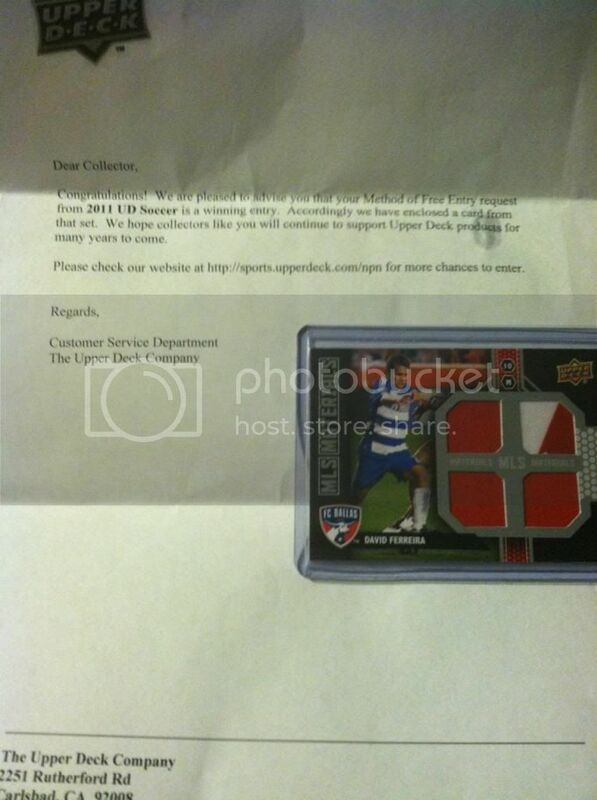 First Place winner scores the BCW Collectors Kit above and one of the white envelopes in our contest. 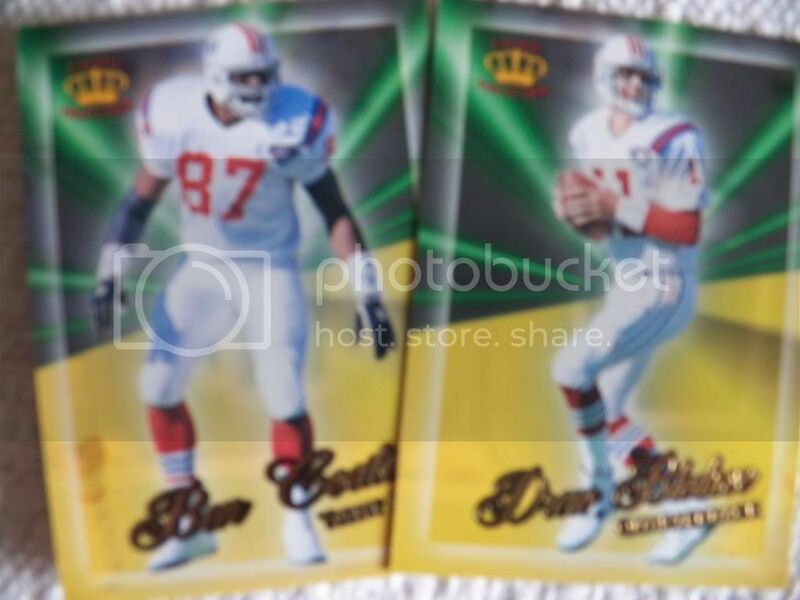 Remember that we don't know the contents of these envelopes other than that its Panini basketball, football, baseball inserts or rookies or both. 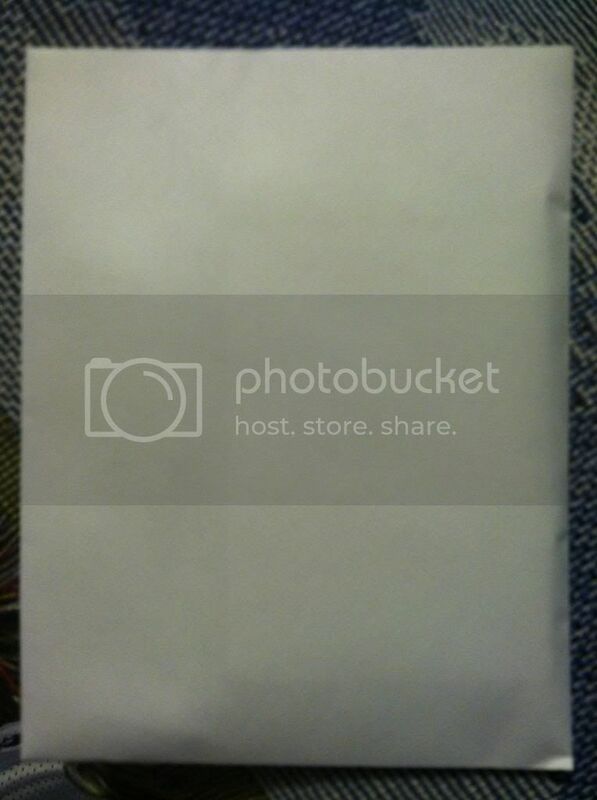 There will also be second and third place winners in this contest that will also score one of these mystery envelopes. Pick the winner of the All-Star Game. Choose a total score and try to be the CLOSEST WITHOUT going over. As another tie breaker, pick the All-Star Game MVP. NOTE: To make this more of a challenge...Entries will be hidden. That way nobody will know what you chose and you won't know what they chose. Should be fun! Entries are due by 8 pm e.t. on July 16th. Contest open to US RESIDENTS ONLY...Sorry! Winners will be announced on July 17th. Second and Third places will be decided by tiebreakers. Collectors Choice was a kid's based product. You could find fun inserts such as stickers, StarQuest, and silver and gold "signature" parallels. 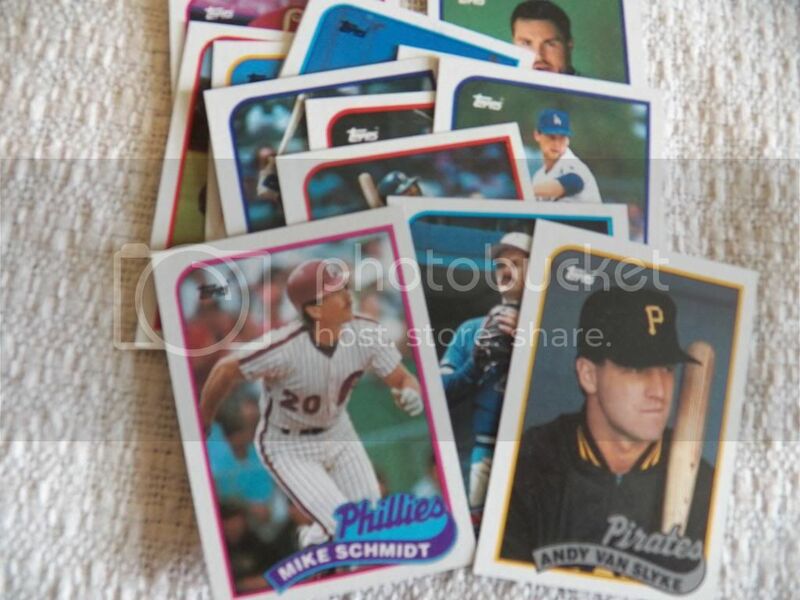 Collectors Choice had a great run in the late 90's and I wish now-a-days Upper Deck would bring back the product. I think a product like this is exactly what kids need and it would help the hobby some too. Something that runs about $1, gives you an insert in every pack. Stickers. And some action packed photography. And rookie cards too. Most Collectors Choice years can be found at reasonable prices still under $30 a box. It would be a fun bust for us to do today. Most boxes were packed with cards. About 36 packs per box and 12 cards per pack. Note: This specific year on this product is 1996. 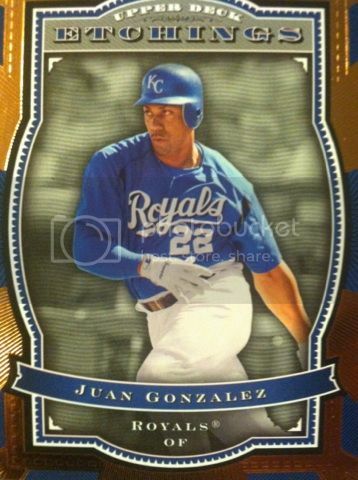 What are your thoughts on Upper Deck and on Collectors Choice? Let hear them in comments! Another day, another Panini preview of their 2013 National Sports Collectors Convention cards.This time they did a sneak peek of the numbered Rookie Cards that are included for the show that begins on July 31st with some big name talent to brag about as well in the checklist. 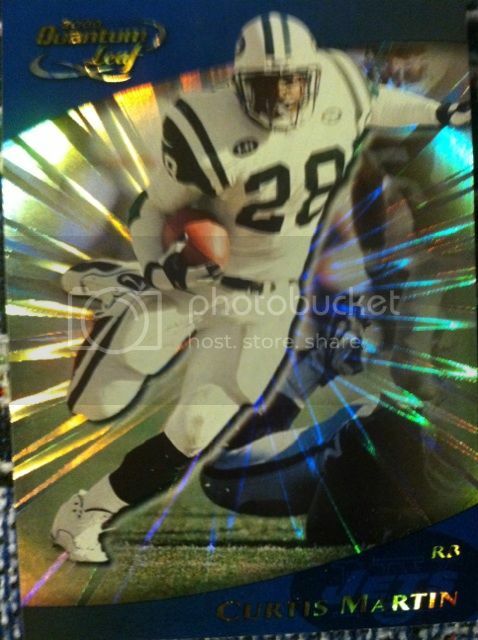 Not to mention, some well done designs on these rookie cards as well. Top QB pick in the draft. Not a bad have for any fan. Bright future ahead for Nail and for the Oilers. This guy has looked great so far in the Summer League. Grabbing and finding anything with his name on it for cardboard is a must. I like how Panini included some of this years top picks into the lineup. This pitching beast as well! Each of the base 2013 National Rookie Cards from the four sports will be numbered to 499. There will also be scarce Cracked Ice versions and Progressions cards limited to just five copies of four different colors. A very unique concept with this product. Combining both a silver board appeal with a ticket stub look. The design looks great to me. The ticket stub is a very cool idea as they took all aspects of one and put it to the card including a game, date and time. I also like the team logo as the back-splash behind the player. Every box contained 24 packs per box with 5 cards per pack. The boxes are running between $90-$100 right now. 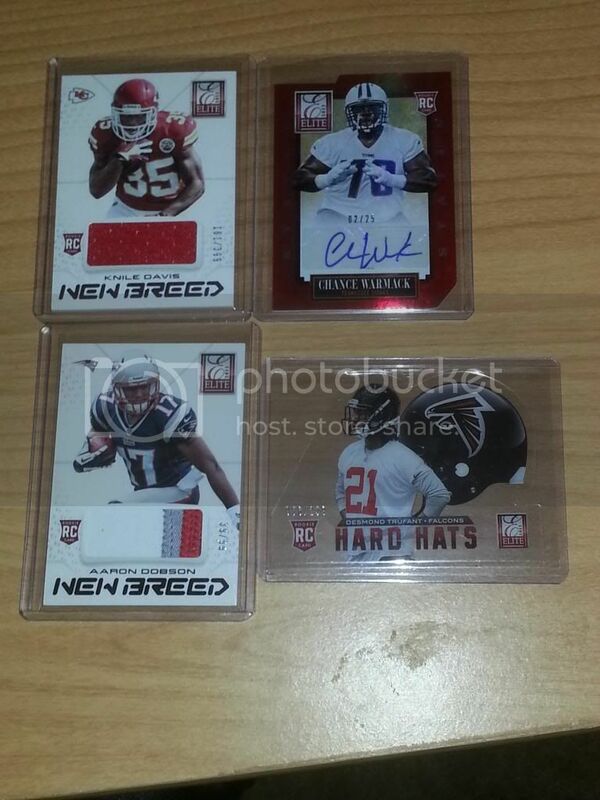 Panini's Fathers Day 12 Pack Break 2013-6 Hits!